Give overnight guests the best night’s sleep in style as well as comfort with the Bizet pocket sprung snuggler bed from John Lewis. Suitable for regular use and just the thing when an extra bed is needed during the festive season. The sturdy frame and multiple sprung mattress encased in its own individual pockets ensures maximum support without the problem of roll together. Features also include layers of polyester foam and fibre for a soft cushioning feel. The mattress cover is made of high quality damask that is tufted for a secure fit. Mattress size is L183 x W76cm. Apart from a being a handy guest ready bed this compact sofa bed is an attractive addition to your living space. 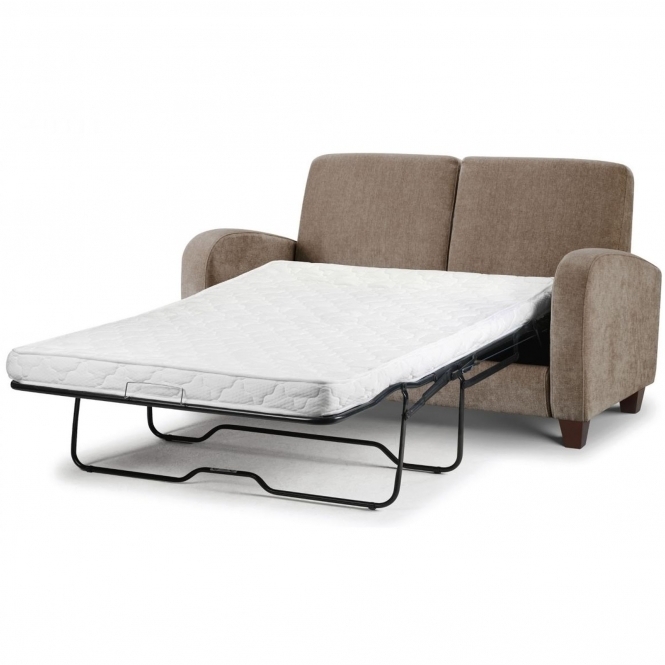 The Bizet snuggler chair bed has a high supportive back, slim arms and comfy sit. It is just the right size to fit in smaller spaces making this a great option when choosing a piece of furniture that can easily being converted to an extra bed when needed. Place in a corner of a room where you can retreat, sit or offer a relaxing nights sleep too. Dimensions: H93 x W118 x D96-226cm. With over 50 shapes to choose from you can find the perfect style to suit your personality. From the classic to the contemporary you will find an array of snugglers, sofas, armchairs and sofa beds. Best of all there are more than 400 fabrics in an exciting mix of colours, patterns and textures in 8 different price bands to suit your budget. Three simple steps is all it takes to create your ideal seating. Choose your shape, select a fabric and leg finish. 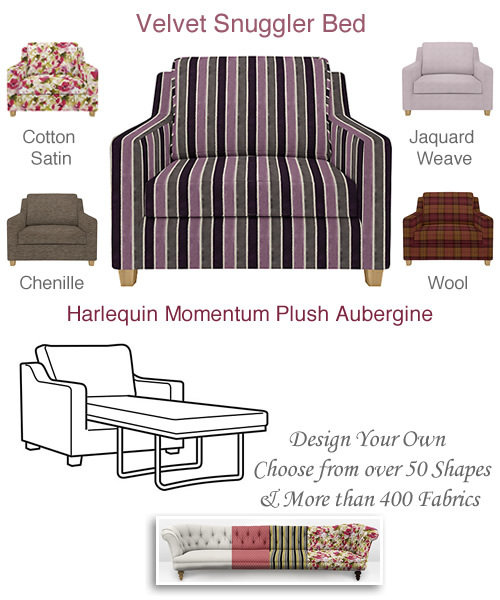 Fabric types include hard wearing cotton and linen, the richness of wool and the luxurious feel of chenille and velvet. Refine your search by selecting the colour you prefer from orange and yellow, green, multicoloured, neutral and brown, purple, grey and black, blue, red and pink. Dress up your snuggler sofa with scatter cushions to match. The perfect finishing touch and available in three different sizes of square cushions: 45 x 45cm, 55 x 55cm and 65 x 65cm. Select from hundreds of fabrics to compliment your interior and create the ideal palette for your home. Go with stripes, spots, herringbone or try geometric, floral or check to enliven a plain choice of fabric.